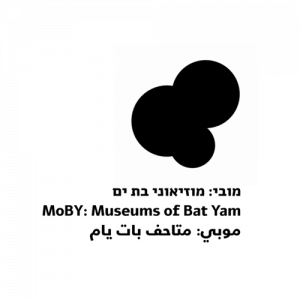 MoBY-Museums of Bat Yam is a three-museum complex operating in the heart of Bat Yam, a satellite city in the greater Tel Aviv-Jaffa metropolitan area. The main building, David Ben-Ari Museum for Contemporary Art, was built in 1961 and boasts a unique round structure. In 2007, the David Ben-Ari Museum for Contemporary Art began exhibiting contemporary art, holding community programs and academic conferences, accompanied by catalogs and publications. The Rybak House and the Sholem Asch Museum house MoBY’s permanent collections and offer extensive community and educational programs. As an institution whose history is deeply rooted in the era of modern-day democracy, MoBY’s curatorial agenda and educational programs consistently address the role of the museum in the 21st century. MoBY provides a broad arena for discussion, creative production, and the display of contemporary art. This curatorial approach facilitates exchanges between visual artists, authors, curators, critics, scholars, and the general public. MoBY’s curatorial challenge is to activate the exhibition mode of display by developing suitable programs and platforms and enabling the museum’s transformation into a dynamic, ever-changing and controversial site. In 2016 MoBY is dedicating its space to the conceptual exhibition The Kids Want Communism, an ongoing series of clandestine and public events reconsidering the communist option, ninety-nine years after the Russian revolution of 1917.